On March 29, 2013 we gathered to celebrate Good Friday and the tremendous gift and sacrifice of the Cross of Christ. It was a wonderful time of worship, contemplation, and then fellowship together! Throughout the service we sang songs of worship and remembrance of Jesus’ love for us, listened to the story of the crucifixion (Mark 15:6-39) and learned more about how His sacrifice means that we can be Redeemed/Forgiven (Ephesians 1:7 ), Reconciled (Colossians 1:20), Cleansed (1 Peter 1:2), Justified (Romans 5:9), Sanctified (Hebrews 13:12) and Purified (Hebrews 9:14), as well as receiving Physical Healing (1 Peter 2:24) and Propitiation (Romans 3:23–25). We were encouraged to consider one of these thoughts and write out our personal thanks to God for His promise and provision in that particular area. These thoughts were later handed in on papers at the communion stations or texted in to be seen on the projection screens as an outpouring of thanks and praise from our hearts as a whole congregation during the communion portion of the service. What follows here are the text messages that came in (with only personal information removed), and as you read them, may your heart be inspired to respond with thanks to God as well! I am grateful I have been blessed with the most amazing husband. Thank you Father for all that You do all the time. I want to Thank you for Your continued healing. I know that everyday You are making me better. In Jesus’ name, Amen. I’m thankful for the job You will provide for my family. We are so greatful for our bun in the oven! I am thankful to God because salvation through Christ does not require money; its paid for. God ALWAYS calls us back to His heart and welcomes us with open arms and an open heart. Thank You Jesus for Church of the Rock, A Holy Spirit led Church. thank you Jesus for bringing my family together as one, and your continued work you are doing now. I pray that you will give my mom and dad a long life. thank you Jesus. Thank you LORD that our names are written in heaven. Wow! Thank you Lord for your rest and peace that you pour upon my life. Thank you for your provision, love and your overflowing grace. Though my sins are many, thank you that your mercies are new every morning. I am thankful for the healing that was paid through the stripes Jesus bore on my behalf. I thank you Jesus you will heal our land. from family to friends to people that are in our lives. For forgiveness and his love over me, my academics and my family. I pray to God to reveal his purpose in my life, so that I will know his plans for me in his kingdom. Thank God for His peace in the midst of the storm because Jesus had made Peace on my behalf through His blood on the cross. Everytime I am in a crisis, a peace overwhelms me and keeps me sane in it and thank God for He ALWAYS took control. THANK YOU LORD. I love you Lord. Thank you God for your forgiveness for all my sin! I am thankful God for the protection and love . You have shown this protection and love most clearly during dark uncertain times when fear could take over You came through! Thank you for showing Your presence and giving us peace. Feeling so thankful and exciting that our god sat us free. He gave us the freedom to face our true hearts and opportunities to make our choices. I am so empty by myself but You are with me, thank you! You encourage me to bring my eyes back to You especially when I feel unworthy. Jesus loved me through my addiction, and I am completely purified. THANK YOU! I am thankful that you are ever present with me in all situations. I am so thankful for the most wonderful wife the Lord has provided for me. You have given so much, what love for me!!! God thank you so much for your immense patience with me and my sins. Thank you for your forgiveness, mercy and love. Thank you Lord for that you have done in my life. I am thankful for the prosperous life HE gave me. God is always faithful in His love for us! Thank you for the unending LOVE! Cleanse me o’Lord and purify my heart. The work of the cross to me is two fold: Firstly, it frees us from receiving the punishment for what we deserve because of our sin. Secondly, it allows us to receive the blessing of God, of which we do NOT deserve, except by the grace of God, through Jesus Christ!!! I am very thankful for God’s purification in me….thankyou Jesus -guilt doesn’t manipulate me….thankyou Jesus! I am righjteous in ur eyes…u hear all my prayers! Thank you God for all the miracles and comfort you have shown me in the past 6 months! Thank you for releasing me from the ropes that bound me. Thank you God that not only do you remove my sins as far as the east is from the west but that you them from my conscience as well. Thank you that you smile down on me instead of seeing my faults!! Thank you for reconciling my relationship to my parents! Thank you for taking all my sins to the cross repeatedly! Thank you that I am being sanctified, purified, and justified, but not glorified. Only you are worthy of the glory. Thanks you lord for my family. 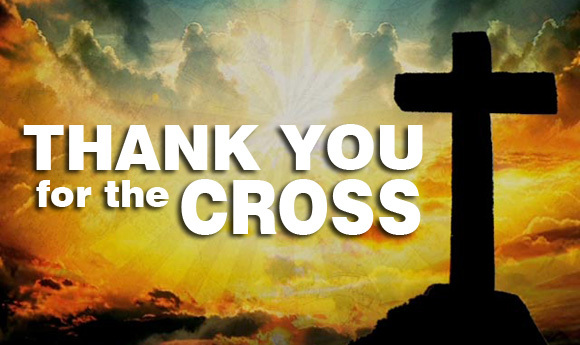 Thanks you for the cross and the blessings. Thank you that you went ALL THE WAY to the cross for the joy set before you!!!! Thanks you Jesus for dying for and my family. I thank god and Jesus for the peace and balance he has brought to my life. 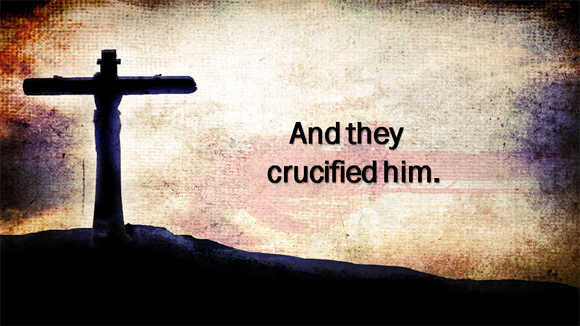 Thank You Jesus for Your ultimate sacrifice!!!! Thank you, God, that You made a way, for me, within this day, every day. You are so worthy to be praised! What a great provider u r!!! U r so so faithful. Thank you Jesus that you made me pure. god thank you for everything you have done for me. thank you for the great plan you have prepared for my life! Thank you for the benefits of the finished work on the cross of calvary. Thank you God for your mercies and favor today and forever. Thank you for everything. Thank you Jesus for paying the price for me. Thank You for covering my regrets with Your forgiveness. Thank you for taking control of my life,for being my guide and for my life in YOU.YOU are the BEST part of my everything. You are true to ur word! Thank you jesus for the cross. I receive your healing in Jesus name. Thank you Lord for the hope I have in being justified by your blood. I’m thankful that I know you. I’m thankful for my family and that they know you. That our sins are forgiven and you live. We might not stop sinning but you keep living. It wasn’t for nothing that you died. I will take your forgiveness and grace knowing I don’t deserve it. I would thank you lord for giving grandpa the strength to give up smoking forever. You presence in him will serve us all. I am thankful for the complete work of Christ! Thank you god for everything. Even the little things. Thank you for giving me this wonderful life. I love you. Thank you Lord for salavation, for your forgiveness, for your cross, for your healing and never ending love. Thank You for Your unending grace. THANK YOU FOR THE CROSS!! Thank you Lord for life, abundant life! Thank you for your unending love. Oh thank you Jesus! Forever thank you! Thank you that You’re always by my side even in the times of distress! Thank you Jesus that your blood has covered my sins and made me new. Thank you Lord for considering me worth redeeming. Thank you for continuing to work in me. Thank you that everything has already been done! I have nothing to do! Thanks for the beginning understanding to this true reality! Thank you Jesus for making it possible for me to spend time in eternity with you. Lord thank you for Your complete work on the cross. Thank you for the complete restoration and healing in my life. Thank you Jesus for your death on the cross set me free indeed.I love you Lord. Thank you for your blood that covers me. Thank Jesus you have always been there. Thank You. Thank you Jesus for justifying my life and seeing me as somebody free of sin! I am thankful for the church community you have provided for us in Winnipeg. Thank You Lord for the cross. Thank You for healing me physically and emotionally. In You I am complete again. Thank you Jesus for accepting me as weak and flawed as I am. Thank you for bearing my pain and my struggles with me. Help me continue to fight back temptations and walk more in the light. I am trying, stay with me. Thank You for Your love, for I am not worthy of such grace. Thank You. I thank Jesus for making a way for me and to give me the hope of an eternal place for me even though I am not worthy of it. I thank Jesus for being the steady thing in my life that I can always count on in my times of struggle. Lord you have moved my heart and guided me to this place help me find that which allows me to fufill everything you have planned. Thank you! Thankful for God’s forgiveness regardless of our sin and his unconditional love. Praise God, He has taken the sin of those who have hurt me and in turn Him! Now I have freedom to forgive them and to love them! For the complete redemption and not remembering my sins amy more. I thank you for everything that you have done for me, everything you are doing for me and everything you are going to do for me. I thank you for dying on the cross for my sins. THANK YOU LORD!!! Thank you for your forgiveness. Thank you for your Love. Thank you lord for loving me so undoubtably when i dont even deserve it!.for taking care of me ,for my friends,my family,for bringing me to this amazing house of yours!.I LOVE YOU! Thank you for cleansing my sins so that i may one day meet you in heaven. Thank you for my wonderful wife, and the soon to be addition to our family! Thank you for redemption. Because of You. I am free! Thank you Heavenly Father that You have sanctified me, that it is finished, it is done and that as I renew my mind and my heart in Your Word You have made me new, perfect and complete in You. Thank you o lord for all that you placed on your son for me and all mankind. your new presence in my life provides peace for me and my family. Thank you for the cross and for your spirit. Thank you for the work that you have started in my life. God thank you for your Unconditional Love. Thank you Jesus for the blood you shed, that covers my family! To God be the Glory! Thank you for carrying me through. For giving me wisdom. For my continued strength. All because of YOU. I am thankful for my friends who have prayed and supported me. I am thankful for my home, my job, my daughter, my JESUS who fills me with hope, joy, peace, forgiveness. Thank you for your sweet presence. Thank you for never giving up on me! And for answering prayers. Thank you for saving us and for giving us eternal life! Thank you for loving me despite the flaws…and all you are to us. I thank my Saviour for second chances and for an amazing family. Thank You Jesus for who You are. Thankful for a wonderful family and great friends. Thank you also for this great country. I’m thankful to God for everyday protection in our lives and especially when my husband had a heart attack. Thank You Jesus for saving him! Although I have sinned I ask for your forgiveness lord god and Jesus. I’m thankful for God’s love. I’m thankful for my family and I’m thankful for the  family. I thank the Lord for the answered prayer and complete healing of my son. Thank you for the peace of mind that encompasses all understanding and the safe and healthy delivery of my son. Thank you for the blessing of a wonderful career building opportunity. Thank You Jesus for your unconditional love and mercy for us. I love You! Thank God I dont have to save myself. Thank you for your faithfulness and for the strength you have given me through the STORMS. Thank you for cleansing of conscience, so I can serve you. Thank you Jesus, for loving me. For loving us all and giving us life.. Forever more we will praise you. Thank you god for all the blessings that my family received and the continuous pouring of blessings.. Thank You Jesus for doing what no else could do and that You paid the ultimate price that no else could ever possibly pay! Thank you Jesus for doing what none of us would be willing to do. I am thankful for all the blessings You have given me in my life. My God fearing husband, family and friends. You are amazing Lord! Thank you for changing my life – I can’t imagine where I’d be without you! Thank you Lord for the great sacrifice. You took my place. Thank you for healing my hurt heart.. Thank you Lord for we are created in your likeness and your image that we are not an accident. I’m so great full for the blessings and delivery from my addictions and my healings thank you God for your gift of Jesus! Thank you Jesus. Thank you for loving me. Thank you for connecting me to God. Lord, you are the light in my darkness. Maraming salamat sa iyong patuloy na pagmamahal at pagpuno ng aming kakulangan. You are the only living and awesome God! Thank you for sweet baby Jesus! Thank you Jesus for taking the blame for all my sins. Thank you also for my great family. Dear Father, Thank You for your death for our sins. Thank You that You have a perfect plan for us. Thank You God! I am thankful for the work YOU are doing in my family especially in my boys. dear father, thank you for putting your hand upon me, thank you for the happiness , thank you very much for the power of healing , thank you for everything you have done for me in my life. thank you father ! Thank you God for protecting my family in the midst of a car accident and giving us peace when everything was over. You were in total control of the whole situation even though we were not. Thank you Jesus for loving us!! !